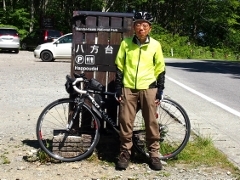 Today I started my fifth bike tour in Fukushima. 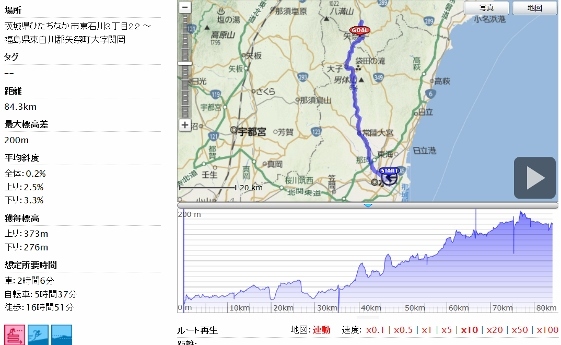 I started this tour from Yamatsuri Town which was located in the border of Ibaraki Pref. 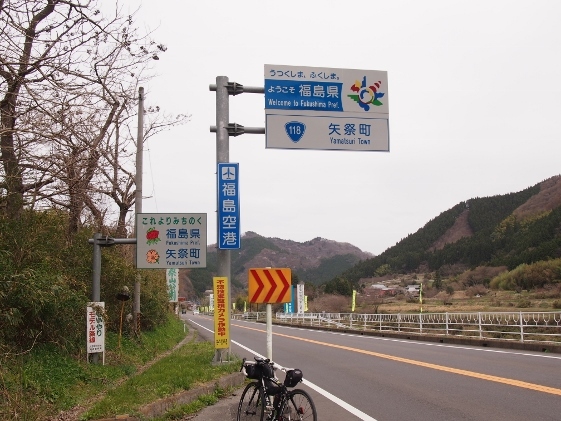 along the National Route 118 as shown in the picture below. And the main theme of this tour is cherry blossoms. Cherry blossoms in Fukushima came more than a week earlier than usual this year, and they started to bloom just after the warm days in the beginning of April. 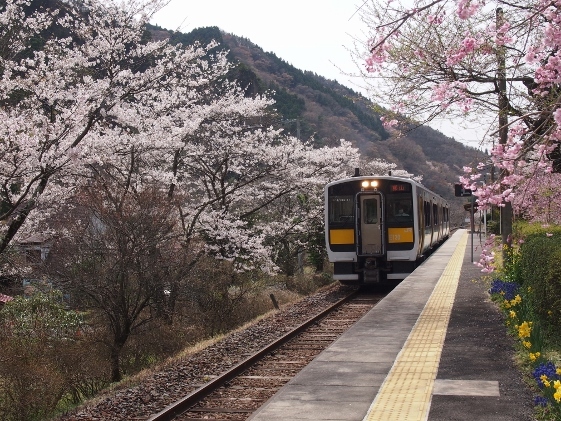 At the JR Yamatsuriyama Station, cherry trees were in full bloom along the JR Suigun Line as shown in the pictures above. However, local people said today that the cherry trees had far less flowers than usual this year and to make matters worth many of the flowers were blown away by the strong wind of last weekend. 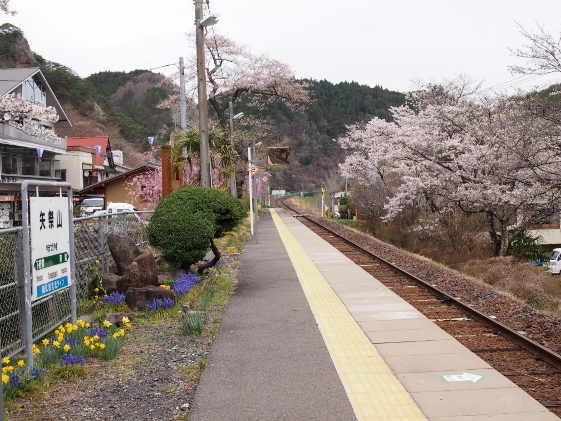 In particular, most of cherry trees of the Yamatsuriyama Park just across the Station were in such status. 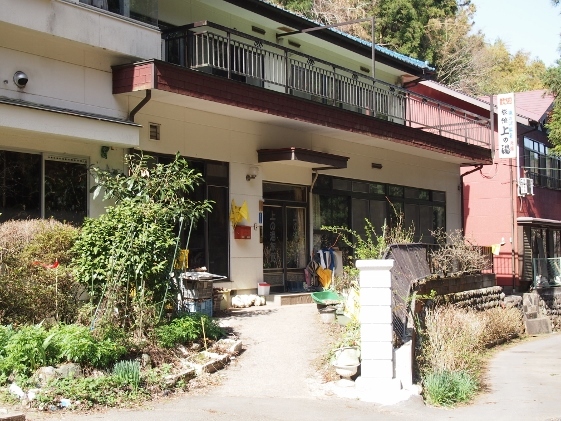 Tonight, I stayed at Kaminoyu-Inn at Takinosawa Onsen of Yamatsuri Town which I stayed last August. This rustic inn was really good with healthy and fresh from the garden meals served in each room.